The Lincoln Stars (22-16-4, 48 points, fifth place in the USHL Western Conference) will have a rare Friday night off this weekend, but will then go on the road on Saturday and Sunday evening to face two western conference foes ahead of them in the standings. The Stars are riding a three-game winning streak, and are 11-3-3 since January 1st, 2011. 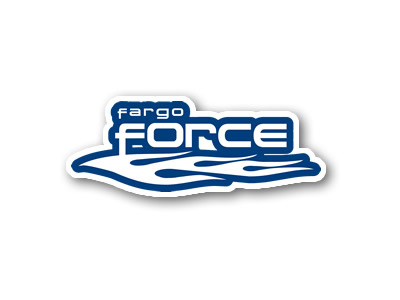 On Saturday evening, the Stars will travel to Fargo, ND to take on the Force. 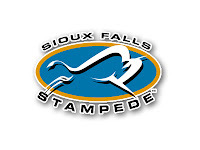 On Sunday night, the Stars will wrap up their weekend road trip against the Sioux Falls Stampede in Sioux Falls, SD. The puck will drop at 7:05pm for the Saturday night game against the Force, and at 6:05pm for the Sunday night game against the Stampede. Click here to listen to Stars radio announcer Mike Melbye call the games on AM 1480 KLMS. If you have money to burn, you can also watch the games via B2 Network by clicking here. If you want to follow the Pointstreak boxscore, click here. First up for the Stars this weekend will be the Fargo Force (25-16-4, 54 points, third place in the USHL Western Conference), the team the Stars beat 4-1 less than a week ago at the IceBox in Lincoln, NE. This will be sixth time these two teams will face each other this season, with the Stars going 2-2-1 in the previous five games against the Force. After losing to the Stars in Lincoln last Friday, the Force beat the Tri-City Storm in Kearney by a score of 2-0. Force goaltender Ryan Massa, who struggled against the Stars, rebounded with a strong effort against the Storm and recorded the shutout. The Force will play this Friday night at home against the Sioux City Musketeers, so let's hope the Muskies wear the Force down so the Stars can take advantage of a tired Force team on Saturday night. Last up for the Stars will be a Sunday evening matchup against the Sioux Falls Stampede at the Sioux Falls Arena. This will be also be the sixth time these two teams will have faced each other this season, with the Stars holding an impressive record of 4-1-0 in the five previous meetings with the Stampede. The last time the Stars and 'Pede knocked heads, it was just a few weeks ago when Lincoln swept back-to-back games on 2/4 and 2/5 at the IceBox. Like the Stars, the 'Pede are one of the hottest teams in the USHL right now. 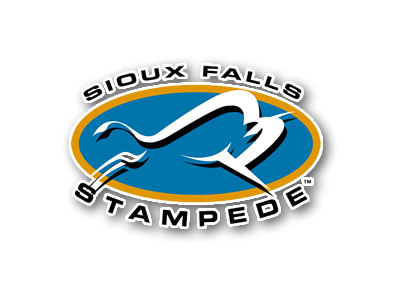 Sioux Falls is riding a four-game winning streak overall, and have a seven-game winning streak at home. The Stars and Stampede are also similar in that they both have the luxury of a deep scoring bench. The Stampede have 9 players on their roster with 20 or more points scored, while the Stars have 10 players with 20 or more points. No other team in the western conference can come close to either Sioux Falls or Lincoln in terms of scoring depth. Both clubs rely on more than just one or two lines to put up points. The Stars couldn't be playing better right now, but you have to figure the Force and the Stampede will both be looking for some revenge this weekend. Lincoln is coming off the biggest week of the season in which they defeated three of the top teams in the league convincingly. However, the Stars cannot rest on their laurels. Lincoln can again improve its spot in the western conference standings with two big road wins, and four points, this weekend. It's cliche, but the Stars have to go into every matchup at this point in the season with the mentality that it's a playoff game. Apart from a few bumps and bruises, the Stars are relatively healthy, and have had a full week to heal up and reload for another important weekend. Can the black and blue continue their hot streak with another four point weekend? We'll soon find out! Just a note to say that we will have a live chat up for each game this weekend. Layla has agreed to help with that since I will be unavailable. I'll post the chat article for the Fargo game sometime tomorrow.